After all that trouble Baron Pierre de Coubertin went through to get an international congress to re-boot the Olympic Games, the Games were quickly in peril in the early days of the planning process. From the beginning, the prime minister of Greece, Charilaos Trikoupis, was not interested in hosting the Olympic Games in Athens. 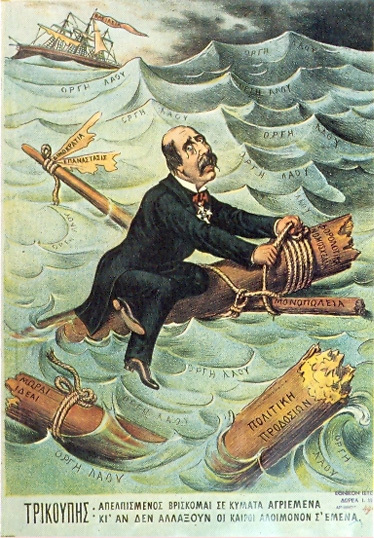 In 1892, Greece’s Treasury was bankrupt due to high-priced government programs. Thus, the prime minister was not in the mood for another expensive boondoggle like the Olympics. He thought that if anything, the government should sponsor an event devoted to promoting the agro-industry of Greece. Equally consequential, the Greeks Coubertin left behind to help organize the Games, quickly agreed that the expense of the Games would outweigh the potential glory, and disbanded. That’s when the nemesis of the prime minister stepped in. Tripkoupis was at odds with the King of Greece and the royalty in general as the prime minister felt the King’s hand meddled too much in Greek politics. 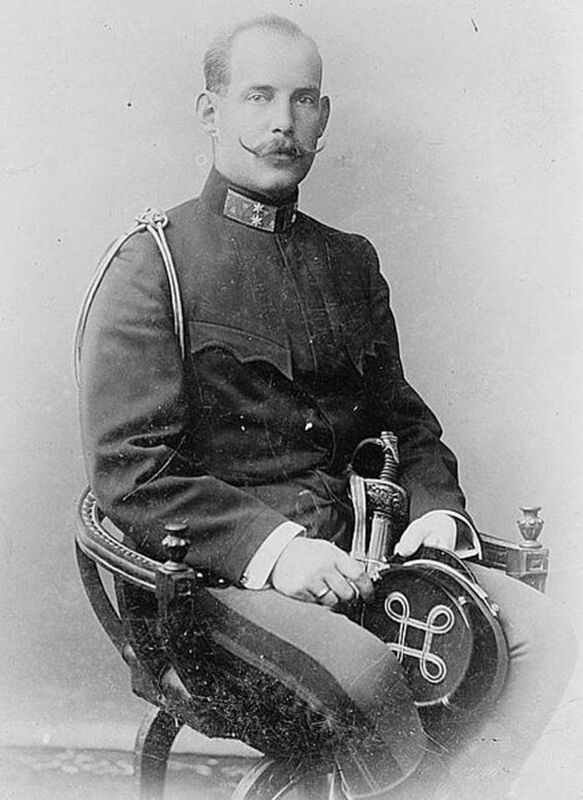 Perhaps royal intrigue was part of the reason why Trikoupis was prime minister 7 times from 1875 to 1895. But despite the prime minister’s influence in keeping the Olympics off the calendar. Crown Prince Constantine stepped up and declared the re-establishment of the Olympics in Greece as a priority. The crown prince, who was already an honorary president of the committee, took control, establishing a new working committee, and solicited the generous funds of a rich businessman named George Averoff, had new sports facilities built, like the Panathenaic Stadium, and a velodrome. Reluctantly, Trikoupis agreed that the Olympics should be hosted in Athens. And unfortunately, the pressure on the Greek government to pay back the country’s debt as it fought its way out of bankruptcy was too immense. The prime minister recommended higher taxes to pay its debt, but that’s not a great platform for a politician to run on. With little support, Trikoupis resigned and eventually lost his seat in the general election. With the uncooperative prime minister out of the way, the Greek Royalty and Coubertin was able to move forward in the restoration of the Athens Olympic Games in 1896. Posted in Economics, Geo-politics, Other Olympics and tagged 1896 Athens Olympics, Baron Pierre de Coubertin, Charilaos Trikoupis, Crown Prince Constantine, George Averoff. Bookmark the permalink.